The Ubuntu International Job Placement programme is an initiative of the Ubuntu Institute and is being piloted in the North West. “(This) is a unique programme in South Africa facilitating international jobs, internships, learnerships, short leadership development programmes and graduate skills development programmes in the United States of America, Canada, Europe and Asia,” said North West Premier Thandi Modise. 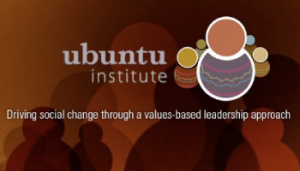 Ubuntu Institute founding chief executive Prince Cedza Dlamini said participants will be able to return home and kick-start their careers at a higher level. “The internships provide much needed working experience at world class 5-star resorts where they will earn about R20 000 a month,” said Dlamini. Dlamini said unemployed graduates from previously disadvantaged communities will serve six- to 12-month internships overseas. Positions are also available in the ICT, mining, agriculture, engineering, marketing, legal and financial services sectors. The programme, which will be launched in Mahikeng on Thursday, is being funded through the Development Bank of Southern Africa’s Jobs Fund. Key partners include the national department of tourism, the Federated Hospitality Association of Southern Africa and the South African Graduates Development Association.